Liang Chi Motor Co., Ltd, founded in the Minhang Area of Shanghai in 1966, is specialized in manufacturing single phrase and three phrase AC induction motors. Liang Chi Motor Co., Ltd is a subsidiary company of Liang Chi International Corporation—the largest professional manufacturer of cooling towers in the industrial field of air conditioning systems in Asia. Mr. Zhang Guangbo, Board Chairman of Liang Chi International Corporation, considers the motor as the Mother of industry and a meaningful cause aswell, not only because motors provide thepower for Liang Chi's industrial fields, but also it is quite helpful for expanding the company's experience. In order to expand production and sales, Suzhou Liang Chi Motor Co., Ltd was founded at No.48 Shenzhen Road, Yushan New & High Tech Industrial Park, Changshu, Jiangsu, China in 2004. Shanghai Liang Chi Motor Co., Ltd was combined to Suzhou Liang Chi Motor Co., Ltd in 2008 to achieve an effective business pattern of Production-Marketing Integration. 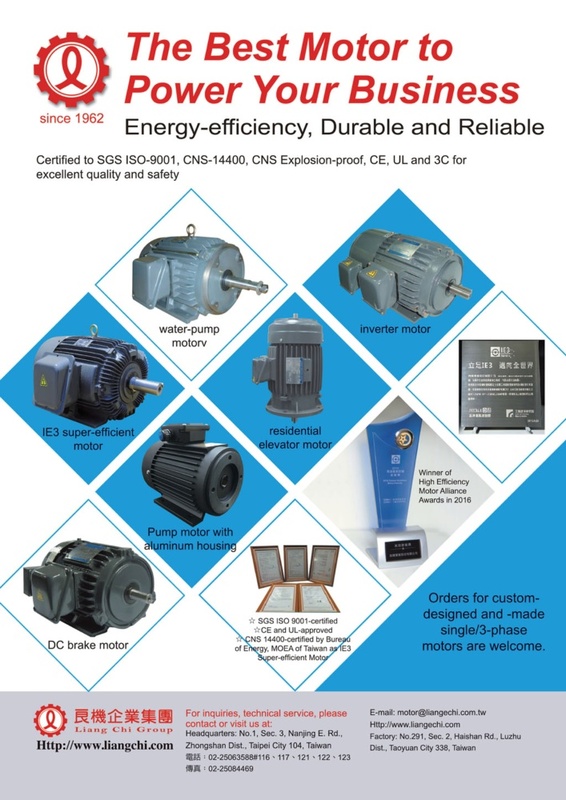 Liang Chi Motor Co. Ltd has committed to the design and fabrication of high-performance industrial motors including Three Phrase IEC Standard Motor, Three Phrase Inverter Motor, and Three Phase Safety Explosion-Proof Motor etc. The maximum power of our Three Phrase AC Motor is 90KW. Our motors provide the power for the Liang Chi cooling tower, and also serve the following industries: Food Processing Machinery, Textile Machinery, Machine Tool Builders, Plastics Injection Mold Equipment, Hydraulic Pressure Equipment, Electronic Equipment, Automated Assembly Equipment, Elevator Machinery, and Overhead Crane Fabricators etc. Liang Chi will continue carrying out its policy of "creating leading quality products and offering the best service" and following the ISO International Quality Policy to produce high quality motors. The products of Liang Chi have earned credentials including the 3C Certificate in China, the UL certificate in U.S. and the CE Certificate in Europe, and have been given a reputation of high quality by the customers.